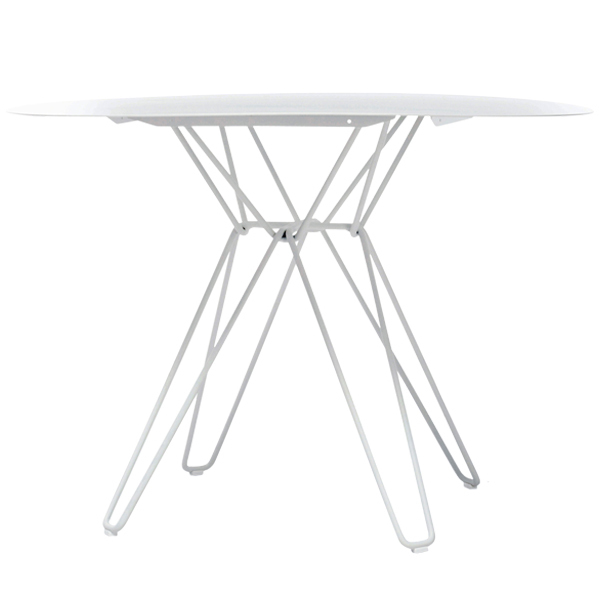 Tio dining table by the Swedish Massproductions has a round table top in metal. Base and top are made of galvanized steel covered with a polyester coat. 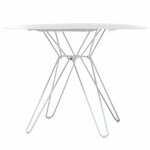 Tio round dining table is available in different colours. Tio tables complement the Tio seating products.